With a nickname like toadstool, how harmful can mushrooms really be? Mushrooms are a fungus and not a true plant. They thrive in warm damp areas of your yard, garden, and the forest floor. The actual fungus organism is in the earth and the mushroom part is the reproductive structure or "flower" of the fungus. It is comprised of a flattened cap attached to a stalk. Underneath the cap are rows of gills which house the reproductive cells, called spores. These spores are released by wind to spread and produce more fungus. Mushrooms live on the organic matter in the soil. The more decaying plant materials your dirt contains, the healthier it is, and the more fungus will grow. Frost will cause them to hide until the warm, wet, spring weather returns. 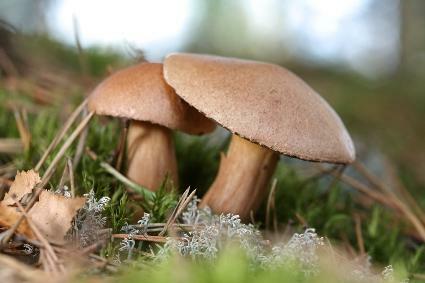 There are many different types of garden fungus, each with their own gardening concerns. No matter what type they are, the majority don't cause any severe damage to plants. In most cases, gardeners simple view them as unsightly. The best method of temporary control is to break them apart with a rake routinely as part of your normal garden maintenance. A specific type of fungus that commonly affects lawns is known as the Fairy Ring. Once again, this is a very cute friendly name for a relatively harmless lawn pest. Fairy Rings don't attack your grass, although they can prevent the roots from receiving adequate water, oxygen, and nutrients, if they get out of control. Fairy Rings can be small, only a few inches in diameter, or quite large, up to 50 feet across. They are rather difficult to control in a lawn and need to be completely removed from the soil for eradication. Start by removing the dead turf and infested soil. Treat the grass roots with garden root feeder up to two feet around the fungus infection and soak deeply. Replace the lost soil with fresh compost, then re-sod or re-seed. This whole process may need to be repeated. Mushrooms are not typically grown by most gardeners as a crop since they can be quite complicated to cultivate. Most 'shroom lovers either buy cultivation kits, collect wild versions, or simply shop at a local grocery store. Some wild varieties are edible, but most are highly poisonous. Certain areas of the United States are well known to harvesters, in particular the wet areas of the Pacific Northwest. You can find them scouring the forest on the hunt for the perfect crop. Gathering wild versions for your own personal consumption can be a tricky endeavor and best left to a professional. If you have your heart set on the activity, take a class in mushroom identification to make sure you know your stuff. Be sure to really know your types before harvesting any wild fungus. Mushroom cultivation has become a slightly trendy fad in recent years. Many food-oriented catalogs sell the log kits that allow you to grow your own crop. The kits are a great idea for a hobby or fun, as they make the process rather simple. They do not last as a long-term cultivation option.If you want to go for a more serious operation, you will want to check out the book, The Mushroom Cultivator by Paul Stamets and J.S. Chilton. Although it is a rather old book, written in 1983, it is still one of the best on the market for practical advice on growing mushrooms at home. It walks you through all the steps, from the grain culture to fungus genetics. Though many have thought of them only a tasty compliment to pizza or sauce, mushrooms are to be a great source of important nutrients. High in protein, B vitamins, and vitamin C, and also low in fat, they are a significant component in a healthy diet. In addition, certain varieties have been shown to aid in fighting diseases. Whether you grow them, collect them, or simply buy them, a great way to preserve extra mushrooms is drying. Simply peel if large and cut off any hard stem parts. Dry on trays in a dehydrator or an oven set at 150 degrees. The time will vary, but they are done when dry and slightly spongy.